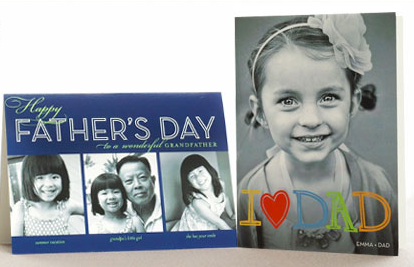 Here's a great offer for 5 personalized Father’s Day Cards Through June 9th, Shutterfly is offering up 5 FREE 5×7 personalized Father’s Day cards with the coupon code DADCARD at checkout. Keep in mind that you will need to pay shipping (which is around $5.99) and taxes. Stack it by first going to ebates hereAfter Sign up search for ShutterflyMake your purchase at Shutterfly through link via ebatesYou'll get back $5 cashback as a first time ebates memberPLUS you'll get back 8% which would cover most of your $5.99 shipping cost! I love personalized cards!